Hollywood A-lister Leonardo DiCaprio has recently devoted himself to raising awareness of the negative effects of climate change and his new environmental documentary Before the Flood will soon be on National Geographic. The eco-flick is slated to premiere on National Geographic on October 30 and will be available commercial-free in over 170 countries and 45 languages. 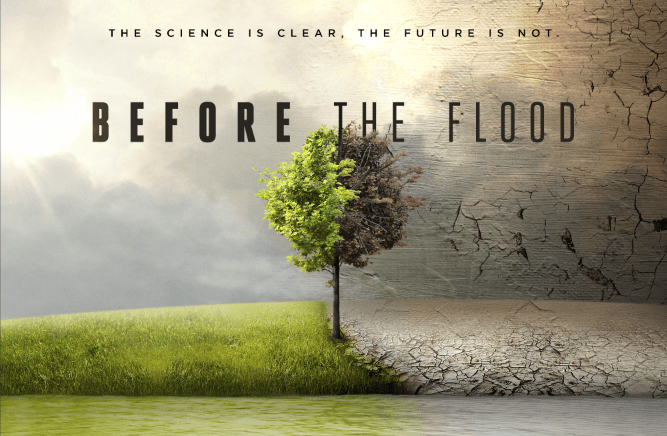 Before the Flood will also appear on YouTube, Facebook, Twitter, Amazon, iTunes and Google Play entirely free of charge from October 30 till November 6. National Geographic says it’s distributing the movie for free as part of its cause to spread the word about the dangers of climate change. This marks the first time the popular nature channel has made one of its productions entirely available for free. Fisher and I set out to make a film to educate people around the planet on the urgent issues of climate change and to inspire them to be part of the solution. I applaud National Geographic for their commitment to bringing this film to as many people as possible at such a critical time. It seems production companies are finally starting to actively embrace free channels of distribution to promote their content. Recently, Netflix put up the pilot of its original series Making a Murderer for free on YouTube – and Amazon is doing the same with all of its original productions. HBO, too, took a similar approach with its highly anticipated artificial intelligence series Westworld when it made the first episode available for streaming to anyone, including non-subscribers.